When shopping for bedding, you may run across some unfamiliar terms during your search. Two of the most common top bed cover types, quilts and comforters, are similar items with a few distinct differences. 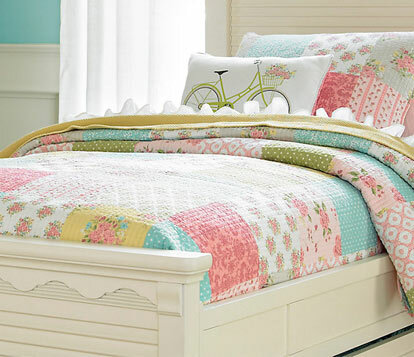 Both a quilt and a comforter can match or accent any color palette while keeping you nice and cozy. To decide which suits your relaxation and design tastes, consider their weight, size, care and style. Quilts bring a vintage vibe to any room as a throw or bedspread. While typically quite thin, quilts stay cool in summer and fairly warm in winter. They often require careful laundering to preserve pattern pieces or decorative stitching. These thick, fluffy coverings bring a luxurious look to a bedroom and come in a wider variety of textures, patterns and styles. However, some may be too bulky to fit in smaller household washers or dryers. In the search for a new bedspread, size is a determining factor. Quilts come in an array of shapes. Finding a handmade piece suitable for larger beds may prove difficult, though machine-crafted modern quilts are usually available in all sizes. 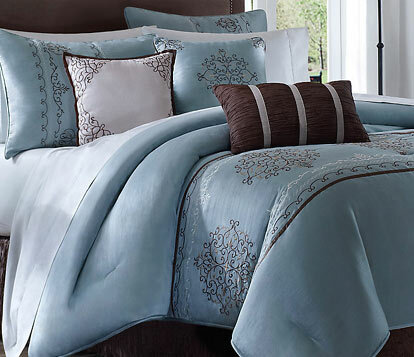 Comforters generally feature standard twin, full, queen and king beds. In addition, oversized models that reach the floor remove the need for a bed skirt. If you're looking for an heirloom item that is useful in all seasons, a quilt is a great choice. For those who want a heavy, cuddly blanket with a range of design options, a comforter is the best bet. Regardless of your choice, either type of bedding is sure to dress up your bedroom in no time. For more on bed covers, have a look at our related articles: Difference Between a Duvet and Comforter and Difference Between a Coverlet and Quilt.